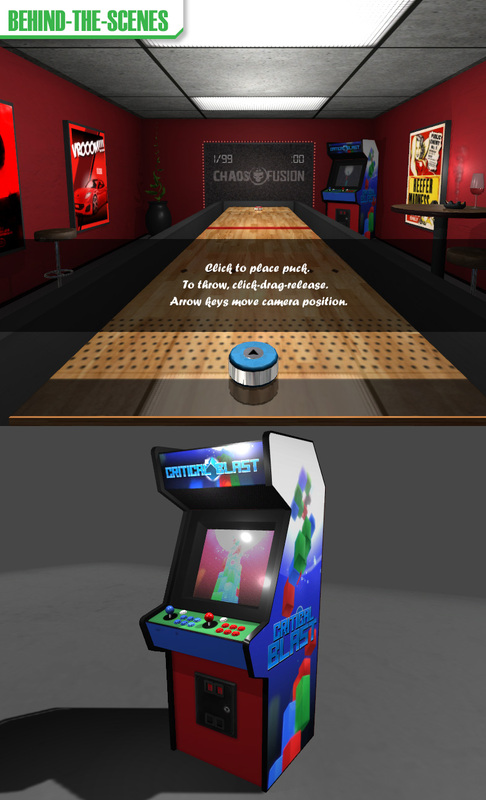 I created a 3d arcade cabinet, which will be used as a background prop for Shuffleboard '16. The graphics are based off the artwork from my game "Critical Blast". The arcade screen is actually animated. It took a few hours to model and texture everything. I'm trying to think of a few more decorations for the levels. They were looking kind of empty and I want them to feel more interesting and organic. The mechanics for this game are basically complete, but it needs much more interesting and challenging game modes. I'd also like to add multiplayer modes and support. Hopefully I can actually finish this game in 2016!